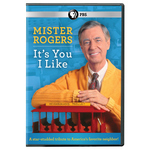 Mister Rogers: It's You I Like pays tribute to Fred Rogers and the nearly 900 episodes of the children's television program. Hosted by award-winning actor Michael Keaton, enjoy memorable segments, archival performances, and lots more! For all the roads we choose to travel, and even those we don't, Fred Rogers has an observation, a story, some insights to share. 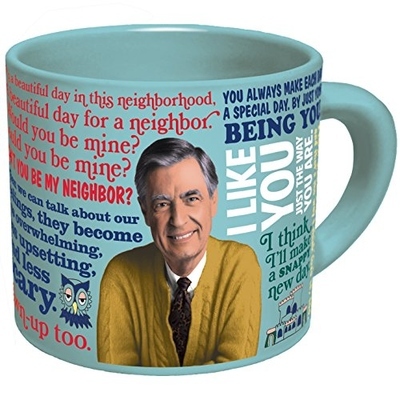 Whether you're facing graduation, a new job, a new baby, marriage, any change in your life--expected or not--the wisdom that Mister Rogers offers can contribute mightily to the grace with which you handle the change. In her foreword, Joanne Rogers shares the Fred she knew. 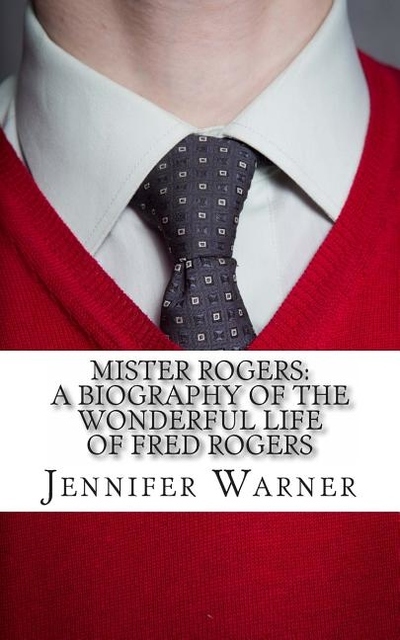 With stories from their life together, the joys as well as the struggles, Joanne shows how Fred looked at life as a journey--with the ups and downs and in-betweens. 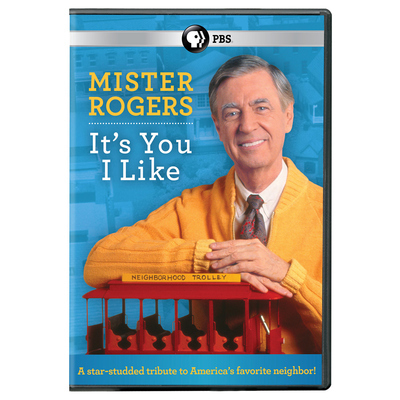 At it's peak, over 8% of every household in America was tuned into "Mister Rogers' Neighborhood." 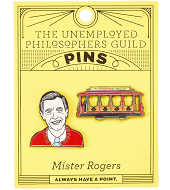 Mister Rogers wholesome message inspired millions of kids to do better. Millions knew the TV personality, but few knew the man behind the cardigan. This book gives a glimpse into what inspired the man who captivated so many viewers. LifeCaps is an imprint of BookCaps(TM) Study Guides. With each book, a lesser known or sometimes forgotten life is recapped. We publish a wide array of topics (from baseball and music to literature and philosophy), so check our growing catalogue regularly to see our newest books. 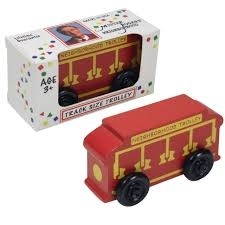 When Fred Rogers decided he wanted to make a trolley for Make Believe Land, he came to us, (Holgate Toys). 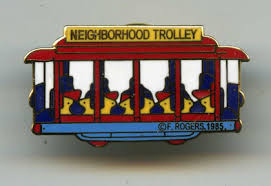 Its a Beautiful Day in the Neighborhood... a beautifully crafted replica of Mister Rogers' Neighborhood Trolley. 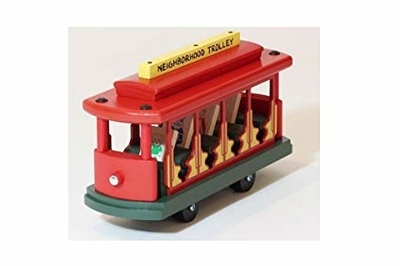 Finely detailed wooden trolley comes with 4-wooden pieces for play: King Friday, Queen Sara, Daniel Tiger, and 1 blank to draw your own character. Perfect for imaginative play or as a desktop conversation piece. Guess what? 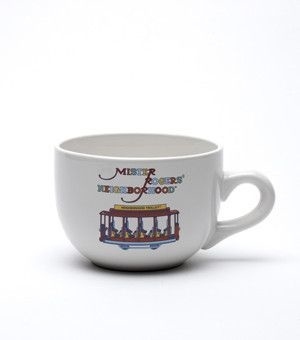 It can be personalized! The Mister Rogers Sweater Changing Mug is the perfect gift for any Mr. Rogers fan -- which is just about everyone. It features Mr. Rogers on it wearing a snappy sportscoat. But when you pour in hot liquid, the blazer changes into a cardigan sweater! This special book of creative activities is for parents, early childhood educators, and other child care providers. The book contains over 300 pages of clearly written and illustrated easy-to-do activities. 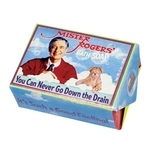 Each activity is designed to complement the more than 500 Mister Rogers' Neighborhood television programs broadcast on your Public Television station. 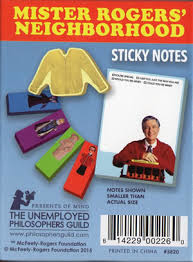 The book also includes: descriptions of each of the television programs; words to many of the songs from Mister Rogers' Neighborhood; a special section with recipes and how-to's, and much more! Encourage Your Child to Create, Explore, and Pretend with Dozens of Nurturing and Easy-to-Do Activities This lively volume from the man described on National Public Radio as "the best friend America's families ever had" is packed with more than 80 entertaining games and activities through which parents can encourage children ages 3 to 7 to learn and grow -- and have fun doing it. It offers clear, accessible illustrations along with stimulating activities to help kids explore dramatic play, creation, sensation, self-expression, nature, feelings, science, helping, sharing, and other areas. It also presents helpful parenting advice and explanations of the skills developed through each activity.